One of the rules of business is to stick to what you know, and it turns out Target didn’t know the digital video space as well as it hoped. Or perhaps it’s fairer to say Target didn’t know the space as well as established heavyweights like Apple iTunes, Amazon Prime Instant Video, Google Play, or even rival Walmart (which acquired Vudu five years ago). 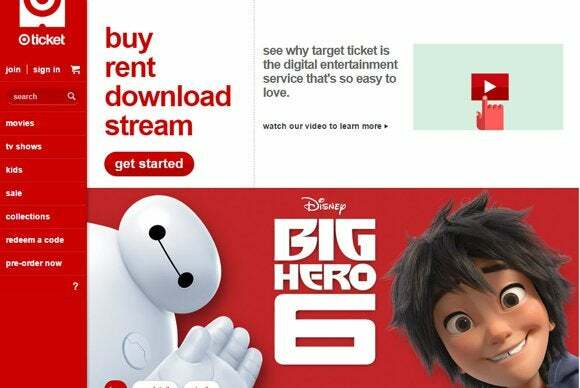 Target Ticket was home to tens of thousands movies and TV shows, including popular hits such as The Walking Dead, Sons of Anarchy, Big Bang Theory, Disney’s Big Hero Six, and more. Having a robust library is certainly critical for any video-on-demand service that hopes to stick around, though obviously there’s more to the magic formula. Target is displaying this message on its soon-to-be-shuttered online video service. 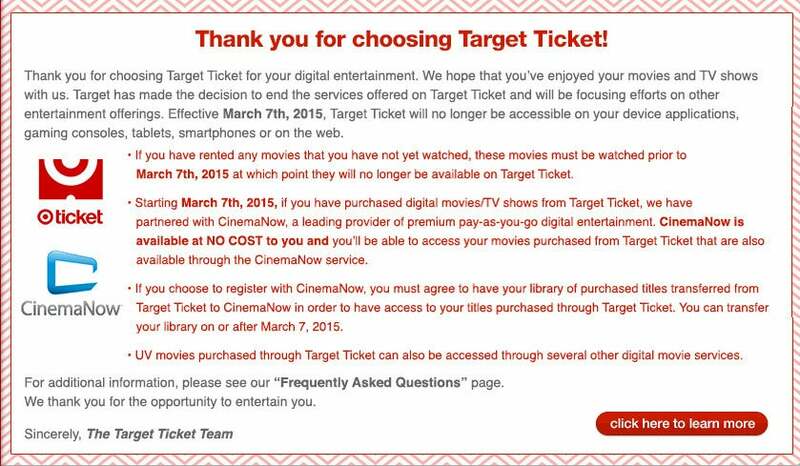 Ultimately, Target wasn’t able to crack the code and it becomes the latest casualty in a crowded digital video space that’s starting to become a little less cramped: Verizon and Redbox shut down their joint Redbox Instant service last year; prior to that, Samsung called it quits and closed its Video and Media Hub, transferring purchases over to M-Go. Why this matters: No matter what strategy companies employ, when there are too many competitors in any given field, the market adjusts itself, and it appears that’s what happened here. Given all the alternatives, this is probably a good thing for consumers, save for those who own content that isn’t UltraViolet ready and want nothing to do with CinemaNow. The situation also underscores one of the scary side effects of digital media. UltraViolet provides a sort of safety net for situations like this, though it’s clearly not the same as owning physical media, in which the primary concern is technological obsolescence (think: HD-DVD).